What just happened... to the Movie Industry? In the second of a series of articles on the impact of the digital revolution, Neil Leyden explains the evolution of the Movie industry and the challenges it faces in the digital age. "If we put out a screen machine, there will be a use for maybe about ten of them in the whole United States. With that many screen machines, you could show the pictures to everyone in the country — and then it would be done. Let's not kill the goose that lays the golden egg." At the turn of the last century, Europe was well-placed to become the cinematic centre of the world. 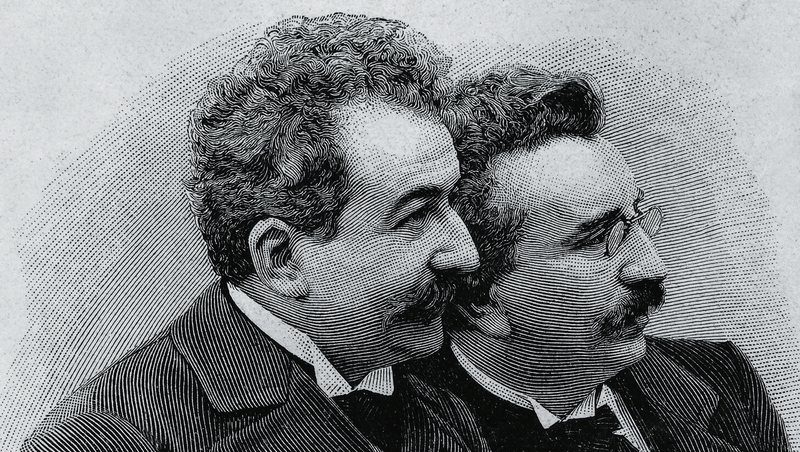 It was two Frenchmen, Auguste and Louis Lumière, that preceded their US counterpart, Thomas Edison, with the "cinematograph". Even the evolution of what we now would regard as the feature film (80 to 120 mins in length) – or the "movie", to use American parlance - was largely developed by the French auteurs. 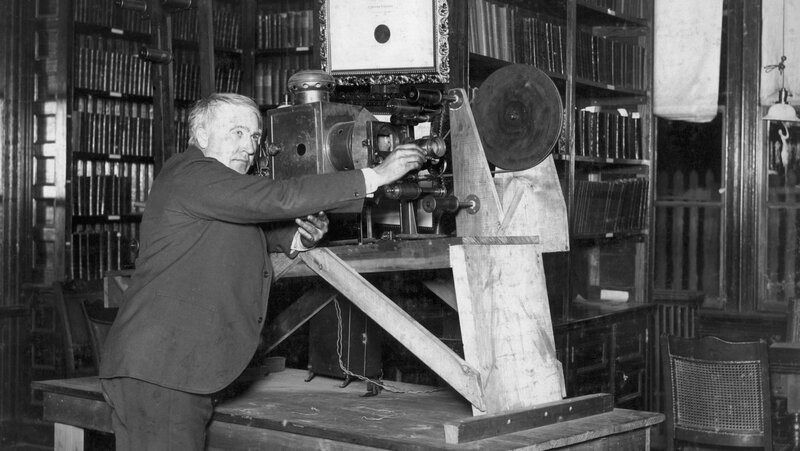 Edison held strongly to the idea that his Kinetescope films should be only short films that appealed to a mass audience, drawing more on the American tradition of the travelling carnival sideshow. He also ruthlessly enforced his own patents to ensure that film exhibitors stuck to his view of how films should be exhibited. 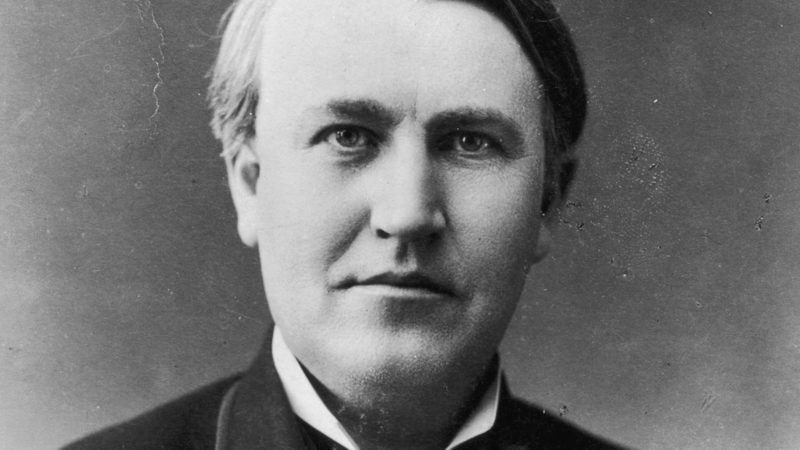 It wasn't until a breakaway group of dissident cinema owners – forming the nascent studios we now know today as Paramount, 20th Century Fox and Universal – moved to Hollywoodland, California, that Edison's monopoly was successfully challenged by longer, more European inspired films. With the outbreak of World War I and the decimation of France (and with it the French film industry), Hollywood rose to ascendancy and the template for how 'movies' would be made and distributed was set for the coming century. Hollywood has since become synonymous with the movie industry and although these "majors" (Paramount Pictures, Sony Pictures, Twentieth Century Fox Universal, Walt Disney and Warner Bros), only produce around 150 films per year, they account for more than 90% of the US market and over 50% of a number of other world markets, including Europe. Although India, and even Nigeria, produces more movies on an annual basis, Hollywood owns the lions share in terms of distribution globally. Hollywood is certainly no stranger to technological innovation. The Movies have undergone a number of technological transitions – some more successful than others. First, there was the transition from silent movies to the 'talkies". Then there was the transition from black and white to colour. All of them were initially greeted with scepticism. All of them quickly came to pass, and were incorporated into the production process. And in this, Hollywood set the standards that all others followed. Digital technology, in many ways, was viewed as just another iteration. But what the studios failed to see – as did their music compatriots – was how seismic this transition actually was. Like the music industry, the technical innovation happened in both the production and the distribution process. In production, the innovation emerged first in the post-production process, specifically editing, where the Steenbeck and Moviola were soon replaced by digital offline editing systems – a much more efficient and cheaper alternative to printing and cutting film. Quite simply, the movie 'rushes' from the camera were digitised and the editor could then cut the movie in a much more flexible way with a computer. Soon the production process followed, with film cameras being slowly replaced by digital cameras, offering more flexibility and for the producer, plus immediate cost-savings in terms of stock and the requirement for lighting. Again, as ever with such innovations, the traditional film-makers lamented this enforced innovation, holding fast to the belief that light on exposed celluloid was an irreplaceable process in terms of quality and consumer satisfaction. Yet again, digital was seen as the transgressor. But yet again, digital won out with the majority, if not all, movies now using digital production and post-production techniques. In terms of distribution, movies made the same transition from analogue tape to digital, as did the music business. However, there was one major difference: Windowing. 'Windowing' was the process that the movie studios still cling on to today and is firmly rooted in their control of the distribution chain. Windowing is really about a 'staggered' release of a movie. The marquee release of any movie is initially to the cinema chains; then it passes to Pay TV, then to DVD and VOD rental and finally to terrestrial television. But this 'windowing' was also done on a global scale, with movies initially released in the US first and then a few months later in other territories around the world. The Windows are carefully stage managed by the distribution offices of the various studios on a global basis. 'Windowing' is the reason why DVDs were 'regionalised' - meaning they could only be watched in specific regions - and was symptomatic of the movie studios' desire to control digital distribution in the same way they had in the analogue world. It is amazing to consider now in retrospect that the movie studios managed to convince consumer electronic companies who made DVD players to install this 'regional' digital rights management software. It is almost inconceivable now, but for decades gave the studios comfort that digital was not going to upset the apple cart. 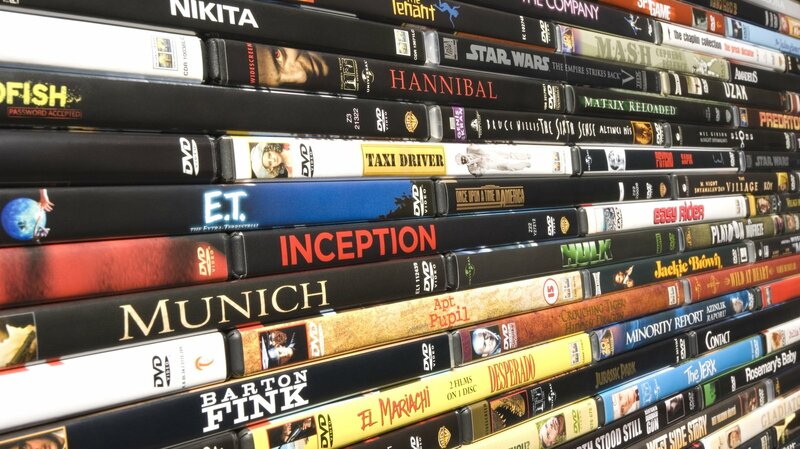 DVD libraries - a thing of the past? For the large movie chains and distributors, digital has proved to be a boon. Digital delivery has reduced costs sizeably. On the one hand, the distributors don't need to pay for costly analogue prints (those large celluloid reels that are fitted on to the projector). For the cinema owner who installed a digital delivery and projection system, there is immediate delivery of a digital print (usually downloaded via Satellite) along with a much more sizeable choice of inventory. In fact, cinema owners are finding new revenue streams thanks to digital distribution, re-broadcasting opera, live sport and music concerts. For the producers, the growth of the multiplex and availability of more screens has meant more opportunity for niche independent content catering to different tastes, as opposed to a reliance on the blockbuster. Funding of those independent films is another question, though and a discussion for another time. However, digital technology is also challenging the supremacy of the cinema in the value chain. The movie-going experience was always an exalted one; the smell of popcorn; the lights going down and that familiar opening sting from 20th Century Fox or the roar of the MGM Lion... Nothing could compare with it. Unless you had it in your own home. Since movie downloads still required significant bandwidth, it delayed the digital transition for the studios compared to what was happening in the music industry. When Napster arrived, ubiquitous highspeed broadband was still some way off as a consumer fixture. However, some companies foresaw the inevitable. Netflix was the brainchild of the entrepreneur, Reed Hastings, and was firmly rooted in the world of DVD rental. The Netflix service sought to disintermediate video rental stores by allowing customers the ability to rent and return DVDs by post on a monthly subscription basis. Depending on how much you paid, you could rent more DVDs. The beauty was the simplicity of the service offering - flat-fee unlimited rentals without due dates, late fees, shipping and handling fees, or per title rental fees which were the 'bread and butter' of millions of rental stores everywhere. But Hastings had an even more devastating business model in mind, one that would soon wipe out the retail chains altogether: online video rental. By building up a loyal customer base through his effective DVD rental business and its recommendation engine algorithm, Hastings was placing Netflix in prime position to offer video on demand via the Internet. After Netflix's Initial Public Offering (IPO) on May 29th 2002, Hastings had a war chest to develop the business into an area that would necessarily cannibalise its own business model around DVD rental. In February 2007, the company delivered its billionth DVD. That same year, it began rolling out video on demand to its customers as high-speed broadband had finally reached the required penetration. 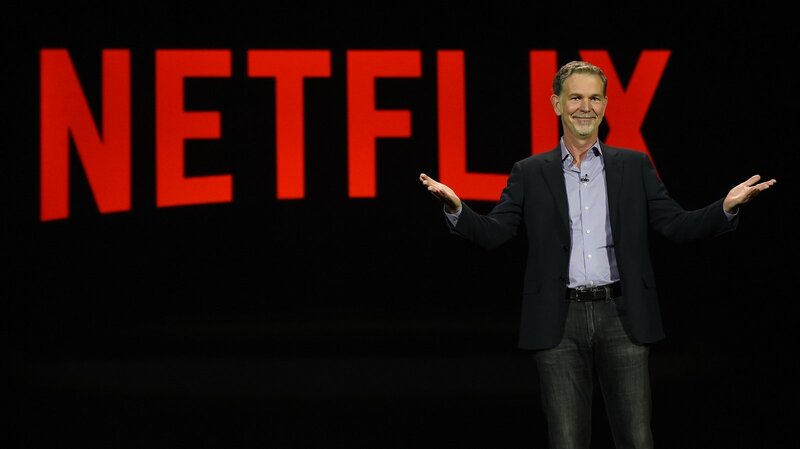 By April 2011, Netflix had 26 million video-on-demand customers worldwide. On September 23, 2010, Blockbuster the leading games and video rental provider in the US which at its peak employed 60,000 people, filed for bankruptcy. Netflix not only upset the movie rental market, it also took advantage of the blurring of lines between broadcast television and video rental. 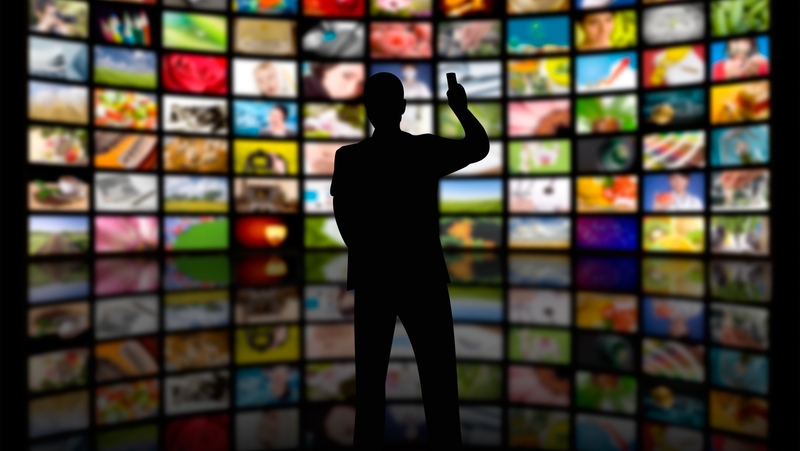 Television, mainly thanks to the innovations of cable channels like HBO and Starz, was going through something of a renaissance - one that has continued to the present day. The cable channels and networks reacted to this by providing box sets on DVD so that people who may have missed popular televisions series like The Sopranos or The Wire during their terrestrial broadcast, could watch them at their leisure on DVD. This brought about the phenomena of 'binge-viewing' whereby customers would watch an entire series on DVD in a number of days – or in some cases, a single all-night sitting. It also brought with it an unprecedented new revenue stream for the cable channels and networks, as the demand for box sets became insatiable. Netflix, seeing the trend, began to offer these box sets as part of the DVD rental model and then, even more successfully, as part of their video on demand streams. Here again, as we'll discuss in a later article on the Television Industry, the traditional players opened up a Pandora's Box by chasing short-term profit at the expense of the long-term impact. Television viewing, like renting movies, would never be the same again. But still, the biggest threat to the movie industry is Piracy. Ease of digitisation, availability of greater bandwidth and cheap cloud storage has led to a perfect storm whereby it is now relatively easy to access the latest movies free of charge on illegal streaming sites (funded by annoying pop up display ads) or peer to peer sites. Open source applications, downloaded on to cheap android TV set-top boxes even allow you emulate a Netflix—like experience... except for free, and with the entire catalogue of latest cinema releases. But the studios are still holding on to the established business models, built around a network of distribution centres globally with a tight relationship of controlled access between distributors and exhibitors (including broadcasters). It is also worth noting that traditionally, the studios are not really 'business to consumer' (B2C) entities – they are, in fact, wholesalers of content who work with intermediaries (exhibitors, retailers, broadcasters and now digital service providers) to deliver their product to the consumer. The Hollywood distributors often force broadcasters and online storefront owners to provide minimum guarantees and buy 'bundles' of content - i.e. in order to get the latest Batman release, you need to purchase a bundle of older titles as well. Also, these deals vary widely in price from territory to territory, confounding Pan-European players like UPC / Liberty Global who often settle with negotiating rights in each individual territory rather then look for 'economies of scale' by negotiating for numerous territories – a concept which doesn't seem to exist in the fragmented fiefdoms of the Hollywood distribution arms. In UPC/ Liberty Global's case, this can be doubly frustrating when their own sister organisation, National Geographic (owned by Liberty Global) insists on charging a variety of prices for the same content in different European territories. These arrangements and business approaches forged in the analogue days may well prove to be the undoing of the studios, as they have for the music companies. While they fight digital-friendly business models such as day and date release (whereby a movie is released in the cinema, on DVD and on VOD at the same time), consumer piracy habits are increasingly becoming entrenched. You know when you hear your Dad talking about sites like Putlocker that piracy has gone mainstream. Many studios – such as Disney – are looking at pulling their catalogues from the likes of Netflix and offering their movies and television content on their own VOD platform. However, this negates the audience's desire for a breadth and range of content that they get bundled with the Netflix experience. Time-poor audiences are looking for convenience, but also curation and recommendation based around their given needs – and this is what the vast Netflix catalogue provides in an efficient, user-friendly fashion. So the answer for the movie industry is simple. Follow the audience. In the digital world, the cinema-going experience isn't the zenith - it's now just part of the overall consumption pattern of the audience. In a world where content flows like water, they will get what they want when they want it whether it is legal or not. If you make it easy for them, they will reward you. If you don't, they'll steal it because it's damn easy to! What just happened...to the Music Industry? What happened to the Movie Industry?